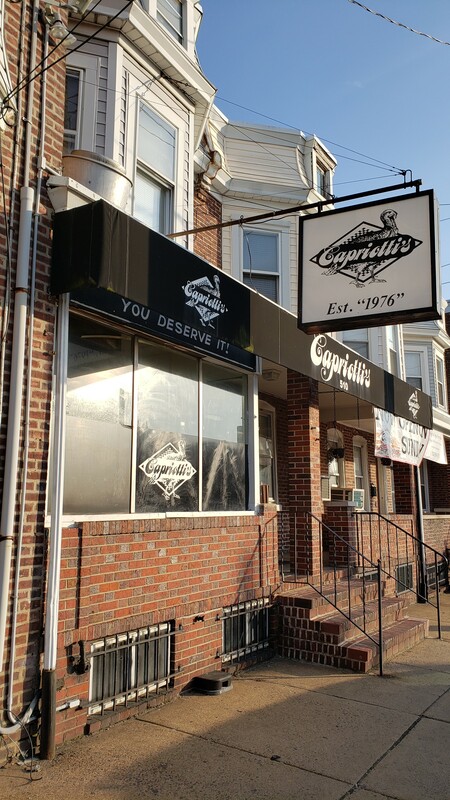 Capriotti’s in Wilmington, Delaware is home to an addictive sandwich. Though he now lives in Atlanta, Ga., Michael, one of my best friends, grew up in Wilmington. If I had a dollar for every time he’s mentioned that sandwich and described it in elaborate detail, his mouth watering and eyelids lowering at its delicious memory, I could afford to buy us both first-class tickets to his hometown to jump into a huge pile of those sandwiches. 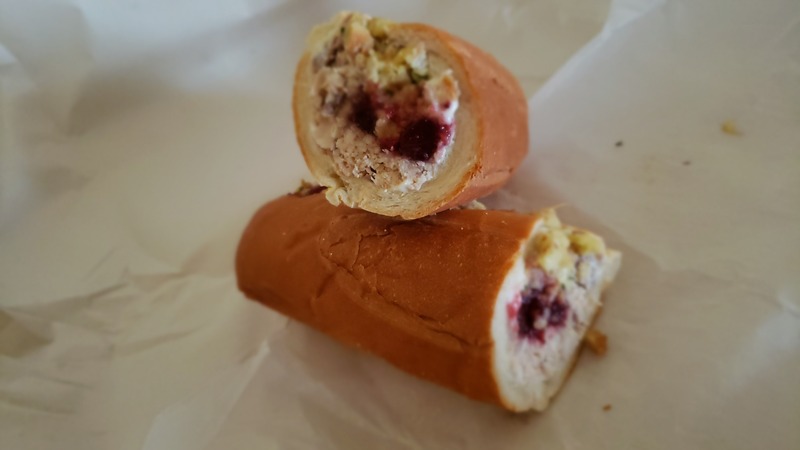 The Bobbie—which I’ve heard is named after an aunt, though whose aunt and whether she’s honored as the sandwich’s creator or biggest fan is unclear—tucks turkey, stuffing, cranberry sauce, and a generous schmear of mayo into a long, soft bread roll. Some folks might call this dish a hoagie or submarine, but Wilmingtonians generally say sandwich. 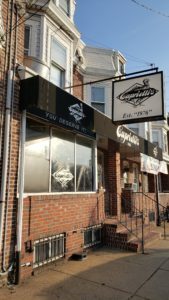 There are multiple Capriotti’s locations in Wilmington, but to be sure I’d get the most authentic experience with the best possible bread, I went to the original location on Union Street. All Wilmington locations get bread from Serpe’s Bakery; it’s a special recipe the bakery bakes exclusively for Capriotti’s. Open the door, step into sandwich nirvana and try not to bang your elbow on the imposing black partition separating the kitchen from customers. To call Capriotti’s a restaurant would be generous. There’s nowhere to sit and eat. Order a sandwich and take it to go. While your order is prepared you can wait in a narrow hallway or a small alcove that offers a few chairs but no tables. It also houses a modest rack of bagged chips and a beverage cooler. The philosophy here seems to be that if you require more than the bare essentials, what’s the matter with you? There’s no see-through plastic barrier through which you can watch your sandwich being prepared. The partition at Capriotti’s Union Street is high enough that a person of average height cannot see the magic as it happens. Your first chance to inspect what goes into The Bobbie is when you unwrap it. My friend is by no means alone in his opinion: The Bobbie has many fans. It was voted “Greatest Sandwich in America,” by AOL Lemondrop. Prior to my arrival in Wilmington, I was traveling in Worcester County, Maryland, and happened to mention to a native of that state that a friend told me to seek out a sandwich in Wilmington, and—based on that information alone, the simple fact that I needed to find a sandwich!—the reply was, “The Bobbie? At Capriotti’s?” Yes! 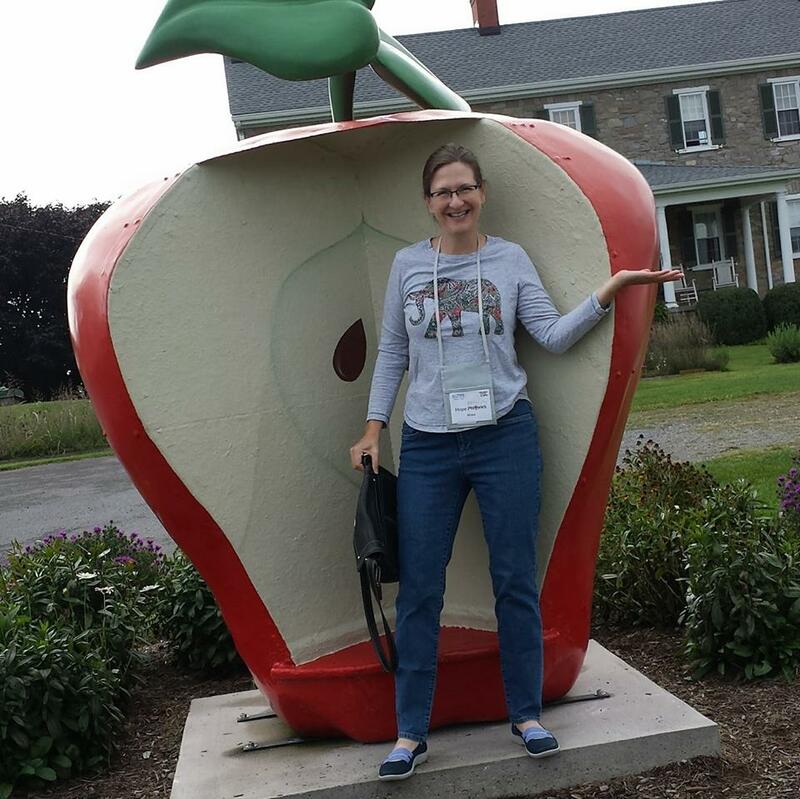 “My parents get one whenever they drive through Wilmington,” she said. I’d chalk that up to a small world coincidence, but pretty much every person I talked to in Maryland and Delaware all had some personal connection to The Bobbie. “It’s the best way to satisfy cravings for Thanksgiving flavors in July,” one person confessed. “It’s a Delaware thing for sure,” said another. “Capriotti’s can’t remove The Bobbie from the menu or there’d be a statewide revolt,” said another. When I wrapped my hand around The Bobbie passed to me across the counter, I was surprised by its temperature: It’s served cold. The soft bun is best fresh, though you can squeeze the sandwich into a hotel room mini-frig to savor any unfinished portion the next day (I tested this out for you, dear readers; the things I do for you!) 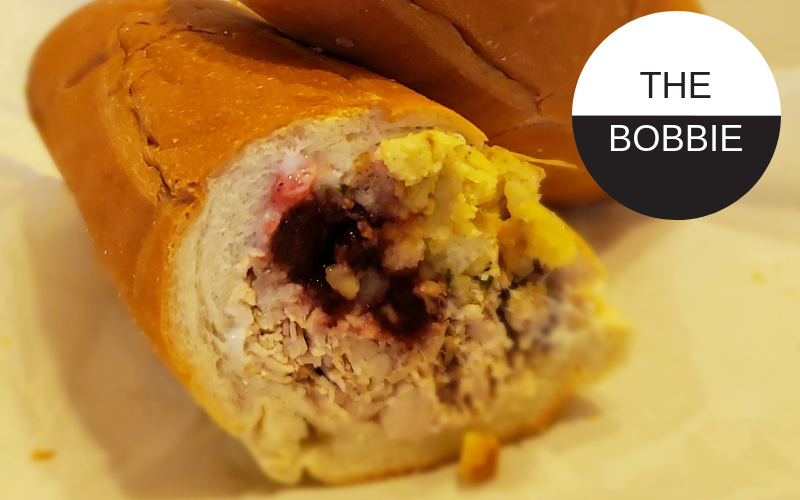 The Bobbie’s ingredients are layered in such a way that each bite carries the full combination of flavors from savory sage to sweet cranberry. The shredded turkey meat is packed tight so it doesn’t fall out of the roll. Of course The Bobbie is filling: There’s a stuffing layer, so it’s literally a bread on bread scenario. Is The Bobbie delicious? Does it live up to the hype? Will you share Delaware’s obsession? There’s only one way to find out: Plan a trip and bite into The Bobbie yourself. Visit Wintertour, Henry Francis du Pont’s elegantly-furnished 175-room former home surrounded by a 1,000-acre preserve of rolling meadows and woodlands. Designed by du Pont, its 60-acre naturalistic garden is a great place to stroll and burn calories. Inside the home, see the premier museum of American decorative arts, with an unparalleled collection of nearly 90,000 objects made or used in America between about 1640 and 1860. Among the exhibition galleries is the Campbell Collection of Soup Tureens. Dine at Bardea Food & Drink, a contemporary Italian eatery in downtown Wilmington that opened just months ago and has been nominated as one of the nation’s best new restaurants of 2018 by the James Beard Foundation. Gaze at delicious still life paintings and other works depicting a range of subjects at the Delaware Art Museum. Exhibits include a large collection of British Pre-Raphaelite art, works by Wilmington-native Howard Pyle and fellow American illustrators, and urban landscapes by John Sloan and his circle. Explore Riverfront Wilmington, which boasts multiple restaurants, a beer garden, brewery, wine and spirits shop, and more.